New Addiction Bill Passed in Maine—What Does It Mean? I would like to voice my opinion about this new January Addiction Bill passed in Maine. I am not a professional who had been trained on the topic or a counselor. I am an ordinary wife and mother who lost a husband and daughter to their alcohol abuse. From these losses, I took my pain and wanted to reach out to others—maybe save one person! 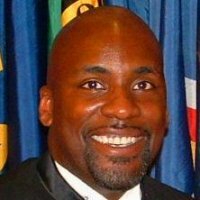 I became a Motivational Speaker and four-time award winning author on three books about living with and losing two loved ones from their alcohol addiction. There could have been a high chance of drugs being involved. Don’t over-look a family member’s opinion or message because they have had no degree on the subject. Who knows the pain watching a loved one slowly killing themselves and not being able to do anything to stop the downward speed of their dying from addiction, than someone who has lived through the illness? First of all, I have always had this uneasiness with any organization getting money to help the sick and then the public hears that a quarter of the money had been used for the cause while the other three-quarters can’t be accounted for from the people collecting the funds. Funds that were sent from honest, suffering family members, who most likely, lost a loved-one from their alcohol or drug addiction, praying their contribution will help another person live by finding new and healthy ways to bring the addicted into a recovery program leading to their sobriety. We want to feel with our donations that our loved one’s death will come to have a meaning by helping others. With this money, we can learn new ways of doing so, not only from the professionals, but people within the family. Here is an example: “Worst Charity for Veterans Run by VA Employee.” The charity brought in $29 Million in donations from Americans from 2010-2014. It was discovered that less than 2 percent was actually spent for veterans and their causes. No one can explain where the rest had been sent to instead of the program. Money donated for 911 victims and their families had the same results and millions being sent overseas during wartime to help with the ammunition or equipment needed for our soldiers, claim that no one knows where a high percent went to while the needed money had disappeared. If the State of Maine is going to start this program, for the sake of the lives that could be saved, please, don’t follow this path. My first comment is finding a way to give a 100% guarantee that 100% of the funds will go directly for the alcoholic and drug users. If not, the persons in charge, who can’t account for the missing money, should be liable to add that loss to the program. Lets talk about the treatment programs. From my experiences with them, there is no foundation. My daughter, Lori, had three rehabilitation stays; once in Butler Hospital in Providence, Rhode Island and twice at the Gosnold Rehabilitation Center in Falmouth, Massachusetts. They took the alcoholic and drug users who had been drinking since teenagers or younger, and put them in the detox centers, and if money was there, a huge ten-day program was next with counseling. Once that was completed, if they stayed, they were let out to go right back to the same location, friends doing the same drinking and drugs, and right back to the drug dealer. We have to treat the addicted the same as someone who has cancer, being in an accident causing someone to be paralyze, depression or suicidal victims. They need heavy rehabilitation to heal. We don’t heal our loved ones by putting them back out in the street for them to return in a month with the routine of returning, returning and returning. You are putting a bandage on their cut. Insurance companies are in control of a person’s stay, and patients are just a number without them knowing their condition or needs. Addicted patients need a good 6-9 month program, without being release, until they can get the alcohol and drugs out of their system. Until they can do that, their bodies and minds can’t make any healthy decisions. Lori signed herself into a three month program after two years because the doctor said her liver, kidneys and mental state were ready to shut down. Within two weeks, they gave her the choice to finish her time or go into a halfway home that had no counselor to watch over them coming and going. No one watched over them to see if they could find jobs, and no professional was in charge 24/7 to see who was getting drugs inside the facility or staying during the night. These are the things $3.7M should be going towards instead of guessing where it should be placed. Get a plan! Most addicted have deep-rooted problems from the past and a counselor running meetings is not going to do it. Money has to be put into giving the mental sick, because that is what they are, a one-on-one treatment with a psychiatrist, who has a degree in knowing how to win the trust over with patients so they can open up about their pain and past treatment from someone or pain with loss. Until this happens, they bury their past deep within themselves and will never recover. Here we go, the Marijuana Fund. I believe in Marijuana if it is prescribed to handle a medical problem. I have been to halfway homes with men saying, “I have no idea why I am here. All I did was use Marijuana.” I tell them, “If it wasn’t a problem, you would not be here. Look at being in this rehab as a gift so you can put your life together before you go deeper into something stronger.” Most who were fighting drug use admitted they started with Marijuana. My feeling on this bill, which will be on the list to be voted on in Massachusetts, have the states interest because they see and hear the “Billions” of dollars other states are making from the sales. So I ask………….is it a way of making the money that interest them….or do you really want to find a control and save lives? If Maine or any state wants to get “serious” about trying to stop the death-rate from this disease, the Maine Drug Enforcement Agency has to want every penny from the funds to work as much as the addicted have to want their recovery. You can’t stop in-between the treatment. Sit, make a plan step by step, beginning to end, and build a strong desire to solve the worldwide problem of addiction, and results from your program bringing the death -rate down. Stop putting money in front of reaching a goal. If money is important with adding Marijuana openly to addicts than don’t waste the taxpayers dollars on trying to cure the alcoholic or drug user. It’s a curve to making money and adding a small amount to the fund to satisfy the professionals and users, only for the corrupt to benefit from the profits. Jails for addicts. I do not believe an addict should be put behind bars, unless their actions killed someone, they robbed a business or some violent crime had been committed. Getting them off the street is a start, but not hidden with criminals for being sick. Spend the money on a clean center without the atmosphere coming across as a hospital. Don’t make them feel like they are being punished for a disease they are finding impossible to beat. They are mentally and physically sick. Until professional make this the number one problem, all your money will not find a cure or at least a control with drugs. I agree that a heavy educational program should start with the grammar school level. Why? Our kids are not as innocent as we think. In my book What is and isn’t Working for the Alcoholic and Addict written by 34 alcoholic and drug users, a woman told her story with starting at five and one at seven years of age with drinking. Developing a support system: I believe it starts with family. A.A. and Al-Anon call this a “family disease,” and yet, I do not believe they treat it that way. We all go into different rooms for our meetings and no one is suppose to talk to the alcoholic or the family member as to what had been discussed trying to find help for all of us. In fact, I honestly feel that once a month an A.A. meeting should have a non-drinker talk about what they are feeling living with the alcoholic and an Al-Anon meeting should hear an alcoholic talk about their fears. This is how we learn what everyone feels and needs to desire recovery. We need to stop this merry-go-round. As a family, we need to hear what others are feeling and need to stop the enabling, abuse, fear and confusion each and everyone of us suffer within the family behind closed doors. I had a breakdown trying to push my body and mind beyond what it could take trying to keep peace in our family instead of doing something about the repeated, daily action day after day. I feared being on my own, getting a divorce and had no understanding about the disease. Instead of hating the disease, I hated my husband. With my daughter, I lived in fear of losing her and didn’t make private times to listen to her pain and learn what she might have been doing with her friends. We learn more by listening than doing all the talking. The alcoholic and drug users cry out for help, but we don’t put our listening ears on to hear them. I agree completely with helping them get an education and employment to give them hope and feel good about themselves again. That was the number one complaint I heard from the patients in a halfway home for men. They said with no jobs to get money, they felt like failures, trapped and saw noway out to get their life back to what it was without using. Efforts to identify: Give the private counseling with doctors, psychiatrist, family members and a priest or minister. Yes, bring their faith back. A high percent of contributor to my book, believed going back to prayer, helped them in their hard times to recover. In 2013, my husband, Al and I, met, in Boston, Massachusetts, with Steven Meunier, at the time, Senator John Kerry’s Policy Advisor. After losing Richie and Lori, we wanted to talk to them about what we thought had been needed to support and help the alcoholic, drug user and the mentally ill. We wanted to start by modifying, not change, the Patient Privacy Act. It gives the addict eighteen years of age and older, the right to refuse any help from doctors, staying in rehabs for help, or including any family member in their meetings and counseling. We believe in their privacy, but when a doctor states that the addict’s liver and kidneys are ready to shut down, we believe the family should have every right to over-ride that rule. We were the sober ones and remembered what happened during their younger years. They were drunk and remembered nothing, but suffer from “thinking” what happened to them or stay in a confused state not being able to judge what did or did not happen to them. Both Senator Kerry and Mr. Meunier left their positions: Kerry to position of Secretary of State, and Mr. Meunier left to work for Blue Cross-Blue Shield. Neither had any idea where our papers went and the case had been dropped. We went to Senator Michael Rodrigues to push this further, asking him to help us go to Washington to talk to the people running the Alcohol and Drug Program,s and never heard from him for the past year.This shows the low interest our government and others have with putting this topic as number one. This email was a way of trying to answer what is in the Maine’s program, what does it mean, and especially to face the reality what “might” be missing in the program or what is needed from a family who looks back saying other options were open. I hope the state of Maine puts their hearts into this program for the alcoholic and drug user because good and healthy people are dying that have a lot to offer our country, their loved ones and themselves. Alberta Sequeira will be speaking on the topic "The Effect of Alcoholism on the Whole Family." She will also be book signing. All her paperback and handbooks for workshops will be on sale at $10.00 each. Ms. Sequeira lost her husband, Richard Lopes and her daughter, Lori Cahill of North Dighton, Massachusetts from their alcohol addiction. Richard died in 1985 at forty-five years of age at the VA Hospital in Providence, Rhode Island and Lori passed in 2006 from the same disease at thirty-nine at the Charlton Memorial Hospital in Fall River, Massachusetts. She will be speaking to family members about enabling and a special talk directly to the alcoholic, drug user, including people fighting with the overuse of prescription drugs, hoping to give them strength to go into recovery and heal from this horrible worldwide problem. She will show that this is a family disease that is effecting every member of the family. No one comes out a winner. Ms. Sequeira invites all coping with the stress and the person suffering. This is an event for all. From May 2, 2006 until September 2, 2016, all my paperback and handbooks printed in Kindle will be available to you free for the next 90 days so you can get a feel of my writing for both the alcoholic and family member. 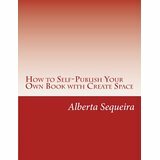 All my books are available at http://www.amazon.com/s/ref=nb_sb_noss_1?url=search-alias%3Daps&field-keywords=alberta+sequeira. 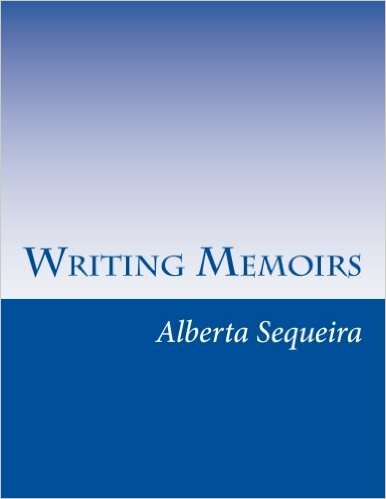 Or, just key in my name Alberta Sequeira and every Kindle version is available to download. 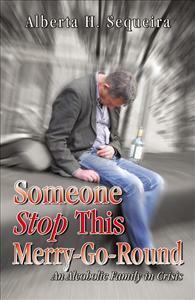 Do you have someone suffering from substance abuse and can't stop? Are you going crazy trying every action to help them? Did you come to the conclusion that the screaming, yelling, fighting, threats, grounding, and taking the keys off them are not working? Do you find yourself 24/7 with just thinking with worry with where they are, what time they are coming home, who are they with, are they drugged-out laying unnoticed in some back alley? Have you stopped smiling, enjoying life, are you depressed, losing weight, or developed lost of happiness? The questions we all ask could take up 50 pages. Until you come to the understanding that "they" have to want the help and go into rehab on their own, nothing is going to change. As parents, mates, friends, or siblings, all we can do is love and support them. I am asked numerous times, "How do I know it is a problem?" The answer......"When it causes problems. Has the once content family gone to fighting, confusion, fear or abuse? Are they missing school, work, are the bills not being paid, money missing, do you find the family events have stopped, or friends are not coming over anymore? Does it all revolve around the drinking? There is your answer. First step...AS SOON AS YOU SEE these problems, get professional help, even if you have to go alone. Someone has to get off the merry-go-round and make changes or the cycle of problems stay the same through years, until innocently, our enabling brings them deeper into their addiction, we have breakdowns, blackouts cause violence, and every member of the family falls apart mentally and physically along with the substance abuser. You love them? Develop "Tough Love!" Even if it kills you. Feeling sorry for them, wondering where they will go if you kick them out or if they will survive, makes you keep them from being responsible for their actions. After losing my husband, Richie Lopes and my daughter, Lori Cahill, I wanted to know, "What Did I Do Wrong? What Could I Have Done Better? How Can We Help These Poor Souls Who Are Killing Themselves?" Yes, more questions. I had to have answers. I give speaking engagements to the patients behind closed doors and to family members and had the same unsettled feelings that are asked of me. Finally, I said, "I have to go directly to the on person who knows.......the alcoholic and drug user themselves!" That is why I collected over 34 individual stories from substance abusers from all walks of life from Canada and the United States. I threw over 23 questions at them wanting nothing but the absolute true to help others, whether it was the addicted, family members, doctors or counselors. This worldwide problem is not being solved or getting answers. Instead, the death rate is climbing every day, never mind months or years! If you want to hear the sad torments from the addicted with their feelings of pain suffering from this disease, then read What is and isn't Working for the Alcoholic and Addict: In Their Own Words, in paperback or Kindle. Learn and listen to what they are asking for to help them desire the want for recovery. All my books are listed under Kindle and I am offering them to be available to you free in Kindle for the next 90 days so you can get a feel of my writing for both the alcoholic and family member. 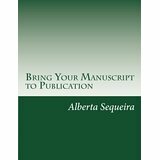 All my books are available at http://www.amazon.com/s/ref=nb_sb_noss_1?url=search-alias%3Daps&field-keywords=alberta+sequeira. Or key in my name Alberta Sequeira and every paperback, Kindle and handbook is available to purchase. My number one book starts in the beginning with me meeting my husband, Richie, not realizing his problem right from the beginning in Someone Stop This Merry-Go-Round. The painful sequel is after losing Lori in Please, God, Not Two. The conclusion to every family member, including the addicted, being affected is in What is and isn't Working for the Alcoholic and Addict. What are we doing wrong with the alcoholic and drug users? I wrote this Narrative Non-Fiction, What is and isn't Working for the Alcoholic and Addict: In Their Own Words, because I wanted honest and truthful answers on why people drink or take drugs. What could I have done differently with Richie and Lori? So I went directly to the source: the addicted. This book was written by thirty-four individuals from all walks of life from the United States and Canada who were or are actively in a recovery program and wanted to share their habit and actions with their struggle trying to overcome their own addiction. Their main goal is to help others who are fighting with their recovery and sobriety. These are their own stories on how their addictions led to the devastation of losing control of their life, family, friends and the death of other family members from this disease we call Alcoholism. Their desire is to lift other substances abusers, especially young people, in learning the reality that it’s not that drinking and taking drugs may, could, or would kill; they will. Hopefully, the heartfelt honesty from the participants will help doctors and counselors to use their stories for their own study on what maybe missing in the treatment methods. The personal testaments within What is and isn’t Working for the Alcoholic and Addict are an added research as to how people are affected, and how they suffer from long-term drinking habits, and from living in an active alcoholic family. What is and isn’t Working for the Alcoholic and Addict may become a learning process for family members to develop the awareness of what the substance abusers are asking for with their support system and recovery programs in order to overcome their addictions. The written statements are a start for all of us to understand the physically and mentally pain alcoholics and addicts are battling. Let us unite together as a family and society to combat this affliction. As a senior level law enforcement and military combat trainer, there’s one thing that almost instantly turns students around from making fatal mistakes in training. That is proving to them, beyond any reasonable doubt, that the tactics/methods they have used are not working and will not work. Once the students come to terms with that, you now have students that can self-correct so much more of their actions on their own. Awareness Coach and four-time award winning author, Alberta Sequeira, has deeply experienced what doesn’t work up close and personal. She has lost not just her husband, but her daughter as well, to alcohol abuse. If anyone wants to get help and see justice for those suffering with alcohol and addictions, its Ms. Sequeira. In this text she takes a departure from listening to the doctors, counselors in rehabilitation centers and “so called” experts. Instead she gives you raw data straight from the mouths of those who have lived through, are still recovering or have recovered from their alcohol addictions. One of the reasons Alberta and I connected on this project was the success of the message and truths of my first book on alcoholism and addiction, You've Been Lied To...The UNTOLD truth about mainstream alcohol and addiction treatment programs and the SECRETS on how to eliminate the problem for good, which uncovers the lies we have been told about the mainstream alcohol and addiction treatment and the numerous solutions available to everybody but so few know about. After about a decade of being in the mainstream treatment environment and culture myself, it was clear to me that the larger majority of people were not getting better, but in fact getting worse. The solution that is used today by 97% of the treatment culture is a one-size fits all approach and this solution has become very clear to me and other truth seekers in the areas of addiction recovery that it does not work to the degree that everyone thinks it does. In the testimonies of the alcoholics and drug addict’s messages and solutions in What is and isn't Working for the Alcoholic and Addict, you hear directly from the source. What better way to get an uncensored and uncut version of what has and has not worked for them. Even if you don’t have any issues with alcohol or addiction or haven’t known someone with these challenges, in your reading you’ll find that there’s more than one way to skin a cat and that these truths can be applied to many challenging areas in life, not just to addiction. Alberta’s passion to help others so they don’t go through the same pain she has is very real and these stories can help and provide insights as to a path to success for yourself or others. Jump in with both feet. You’ve got nothing to lose and EVERYTHING to gain. Bio: Hank Hayes is the author of You've Been Lied To… The UNTOLD truth about mainstream alcohol and addiction treatment programs and the SECRETS on how to eliminate the problem for good. He is also the contributing author of The Ultimate Guide to Knife Combat. The New Bedford Book Festival on March 5th and 6th went well. It’s always great to meet new authors and network. Behind me is a company that supplied soup and sandwiches for us. Lucky seat! Got invited to run a workshop on memoirs in July. For someone who had no intentions of writing a book, mine are growing. The table is full. Thank you to the wonderful people who came to my table to share their stories with alcohol and drug addiction in their families and buying the books to give the substance abuser a voice. I was honored to have many alcoholics talk to me with their struggles and meeting others who have been in recovery for years. I appreciated the chance to talk for a half hour in another room to share my story about losing Richie and Lori and having an open conversation with others on what we are all going through trying to help our loved ones. I want to thank Tom Cirignano for taking this great picture of me unexpectedly with my books. He is an author from Lakeville, Massachusetts who sell his books titled The Constant Outsiderand the fictional 64 Cents. Visit him at www.theconstantoutsider.com. So many of us try to save money on steps with publishing. Yes, I have also. That is why I have taken my books from Infinity Publishing (2) and self-published them with Create Space. I have published 4 paperback books and 2 handbooks, all available in Kindle. I am now working at my first fictional book The Rusty Years. It’s about a 92-year-old woman looking back at her mistakes. After writing 3 memoirs about losing members in my family, especially 2 with alcohol abuse, ( a husband and daughter) I want my followers and readers to see there is a lighter side to me. They were painful books to open up to with the world of mistakes, but hopefully, they will help others. This time around, I may be tempted to see if an agent would have the interest in looking at the book with its twists and turns with emotion and ending with a woman dying in peace with her past finally solved. What kept her deep in the past that held her from enjoying life to the fullest? I feel this book has the potential of growing fast with word of mouth with a surprising end. A book that a publisher may want to grab onto themselves. If my query letters keep coming back, I will again go with Create Space hoping the sales grow to get someone’s attention. People think authors swim in money. If they only knew the struggles we have with promoting and marketing. There are thousands or millions of authors who are talented with their writing and get lost in the dead-end pile of queries landing in the basket. Was it worth me saving money by self-publishing? I will have to sit back and see it the books become known. I tell myself no more promoting and then an idea hits me and I burst with energy to contact locations to help me again. It’s a ride up and down hills for the author. I am hoping the book is completed by the end of this year. "I have learned a lot from family and friends who are in recovery and this book took it one level deeper. The stories are raw, honest and heartfelt from the people who lived through the pain and came out on the other side. I would recommend this book to family members or friends who want to know how an addict/alcoholic thinks. It's also could be a good way to open a conversation with a loved one who is struggling to come to grips with whether they have a problem. 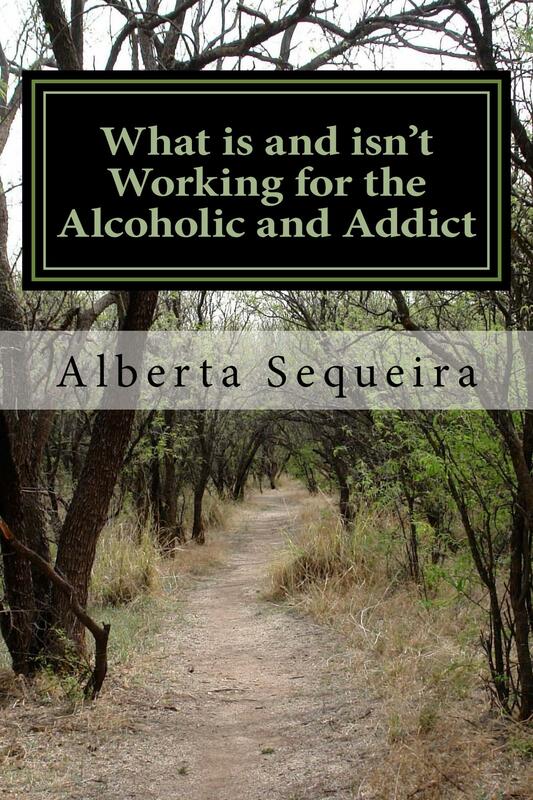 We all want to know the right way to handle things and I think Alberta's book gives us insight that there is no "pat" answer that applies to every addict. Bravo to the folks telling their stories!" Are you going insane trying to figure out how to help your loved one with drinking or use of drugs? Are you a substance abuser feeling alone and helpless with recovery. You are both not alone. Read What is and isn't Working for the Alcoholic and Addict: In Their Own Words and hear from thirty-four recovering substance abusers who found their way to being sober or from those on the path of recovery. What gives them the strength to fight and come out winning? What are they looking for from family members to help them? This is the family book for individuals not knowing how to reach out to the addicted or finding mental and physical help for themselves. It's a private battle 24/7. After losing her husband, Richard Lopes and her daughter, Lori Cahill, both of North Dighton, Massachusetts, Alberta Sequeira went to the direct source for answers....the addicted themselves.